Warning: if you have a problem with heights look away now! 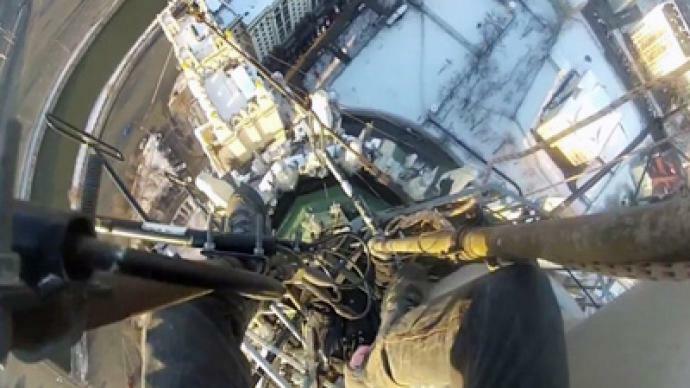 A stomach-churning video showing a Russian daredevil as he scrambles to one of Moscow’s highest points will make you dizzy just watching it. Adrenalin junkie Artyom Pirniyazov, completely devoid of any safety equipment, hauls his way to the pinnacle of the Kotelnicheskaya Building, which stands at a staggering 176 meters high. The video was an instant online hit generating thousands of comments in awe of the thrill-seeker’s unreal feat. 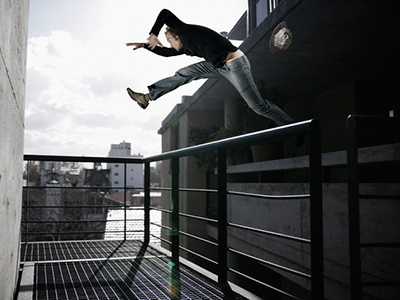 “Anyone else got sweaty palms after watching this?” exclaimed one YouTube user. “You have nerves of steel!” said another. The video comes in three gut-wrenching installments aptly titled “Reach for the star” that document the entire climb to the crowning star of the skyscraper, one of seven similar building’s around Moscow known in English as “Stalin’s Seven Sisters”. “The star has always fascinated me, I’d only ever seen birds and builders up there. It’s the most dangerous thing I’ve ever done in my life; please don’t try this at home!” Pirniyazov commented on the video. Still from Youtube video courtesy of Artyom Pirniyazov.